Camp Director, William Jefferson Harvie, Will, has spent a part of every year of his life at Camp Greenbrier. He was first a camper, then counselor, Director of Activities, Assistant Director, and finally became Director in 1997. Will received his B.A. degree from the College of William and Mary in 1987, where he was a member of the tennis team. Following college, Will played professional tennis. He then attended the West Virginia University College of Law, receiving his J.D. in 1993. Upon graduation from law school he practiced in Old Town, Alexandria, Virginia. Will and his wife, Lenka, have three children: Caroline, Ellie, and William, and they reside on the Eastern Shore of Virginia when not at Camp. LenkaMatouskova Harvie, Lenka, grew up in Prague, Czech Republic where she attended Charles University. For many years, she was a camper and counselor at Camp Alleghany for girls. She also attended Camp Greenbrier’s family camp, House Party, for nine years, prior to coming on board full time at Greenbrier in 2004. Robert Whitney Hood, Bob, has been at Greenbrier since 1962. He was the Camp Director from 1974 to 1996. Bob received his B.S. degree in Psychology in 1962, and his M.S. in Counseling in 1972, both from Old Dominion University. After 34 years in education, he has retired from teaching mathematics at Northampton High School on Virginia’s Eastern Shore. Bob’s favorite hobbies are photography, woodworking, and distance running. Maria Garnett Hood, Maria, is the daughter of the late Theodore “The” and Kitty Garnett of Norfolk, Virginia, who previously operated Camp Greenbrier. 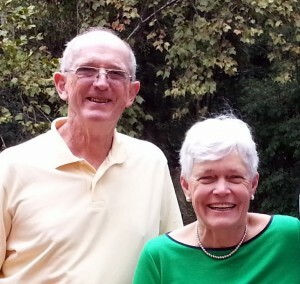 Maria and Bob began operating Greenbrier in 1974. Maria retired from her position as coordinating teacher for gifted students in the Northampton County School System. She received her A.B. from Sweet Briar College in 1961, and her M.S. from Old Dominion University in 1973. Theodore Stanford Garnett, “The”, and Mildred Wilson Garnett, Kitty, were the owners and operators of Greenbrier from 1948 to 1973. 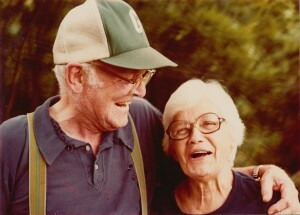 After passing the camp on to their daughter Maria Hood and her husband Bob in 1974, Kitty and The continued to attend Greenbrier for the rest of their lives.